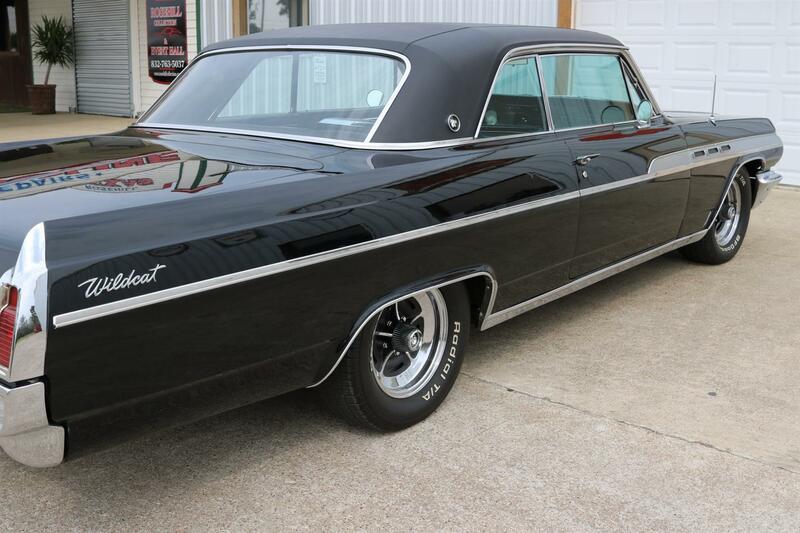 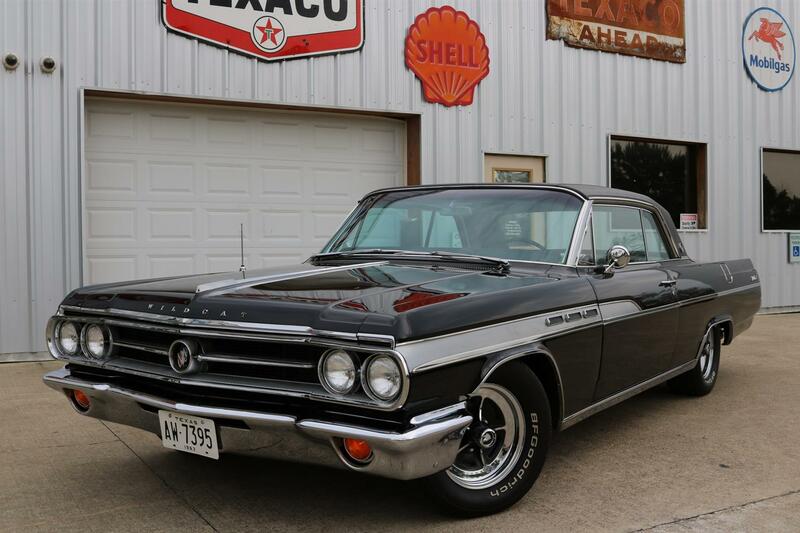 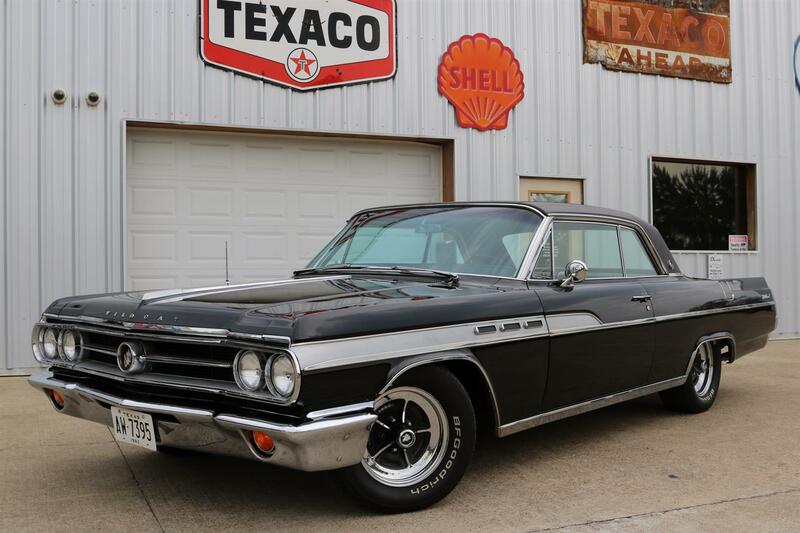 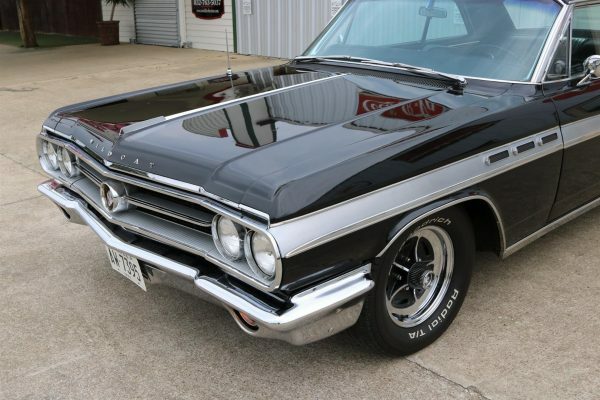 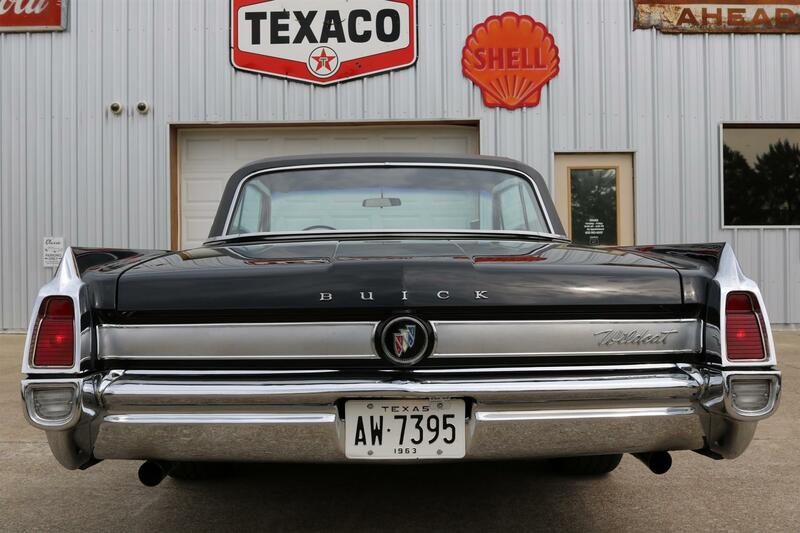 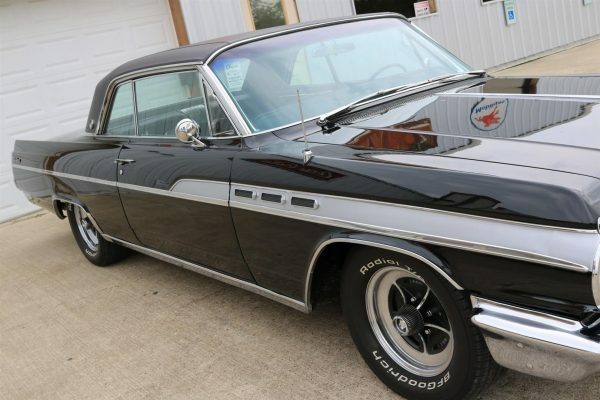 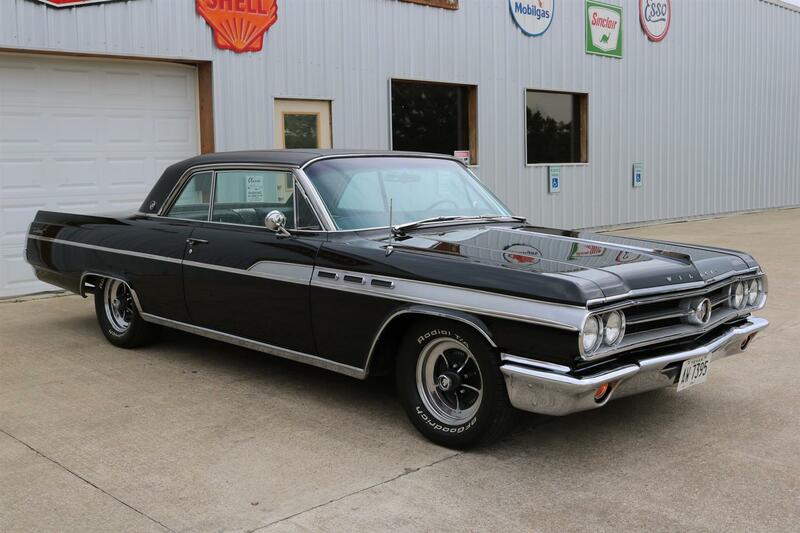 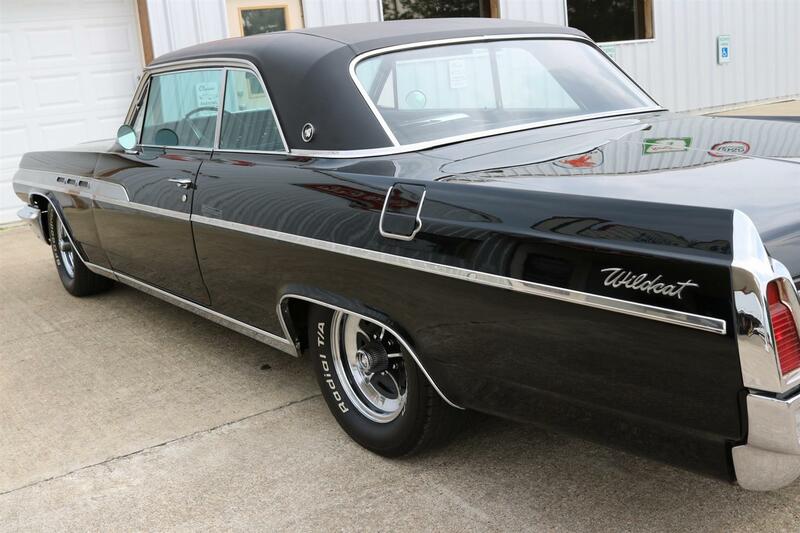 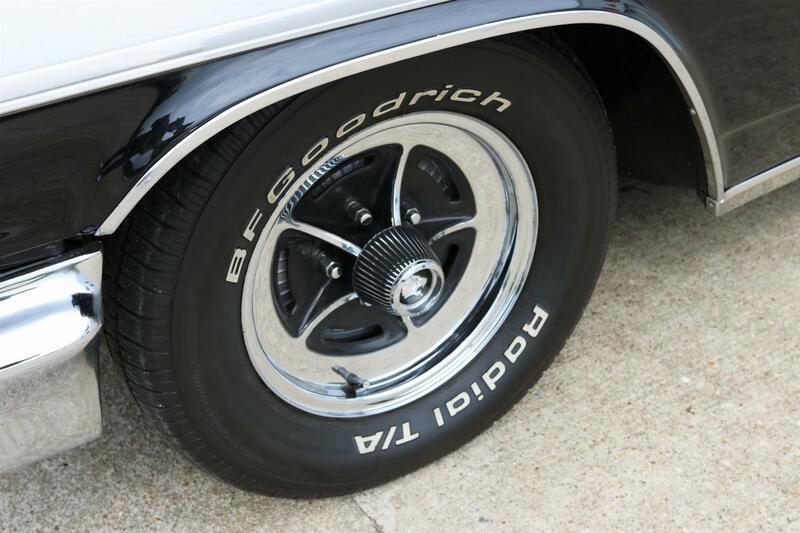 1963 Buick Wildcat Coupe – Wildcat 445, Auto, PS, PB, Factory Radio & Tachometer, BF Goodrich Tires, Great Driver! 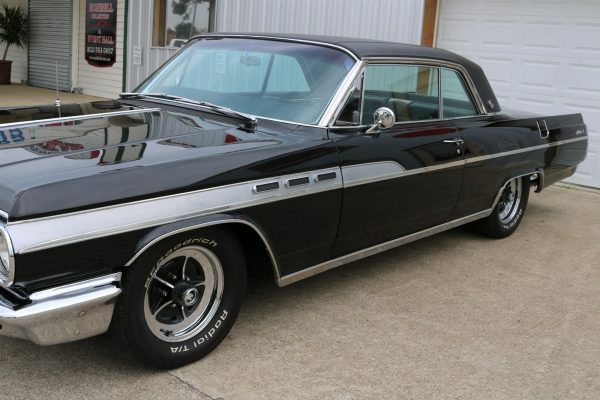 1963 Buick Wildcat Coupe – The Buick Wildcat first appeared in 1962 as the full-size Invicta’s sporty two-door hardtop and came with bucket seats, a vinyl top, special side trim, a tachometer, and dual exhaust. 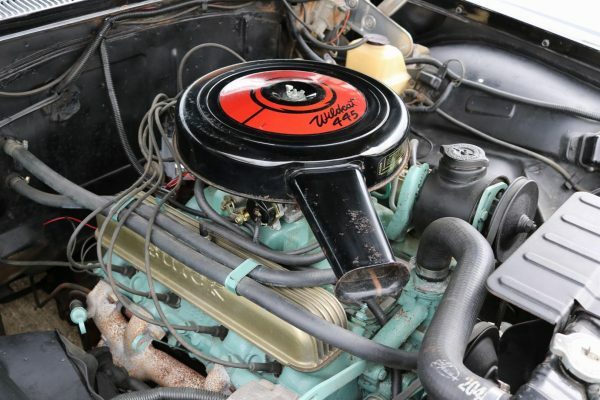 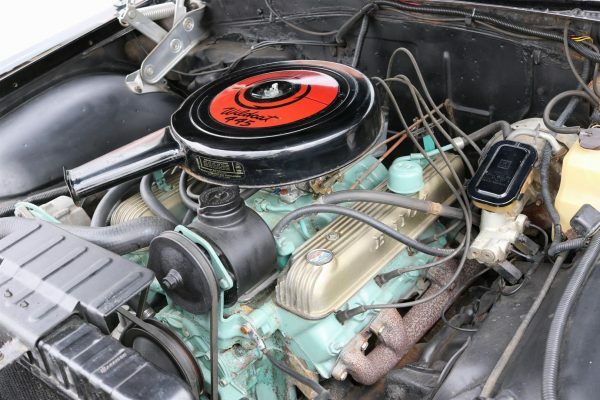 The standard engine was Buick’s 325-hp, 401-cid V-8, and the whole package costing $3,927, making it the most expensive Invicta. 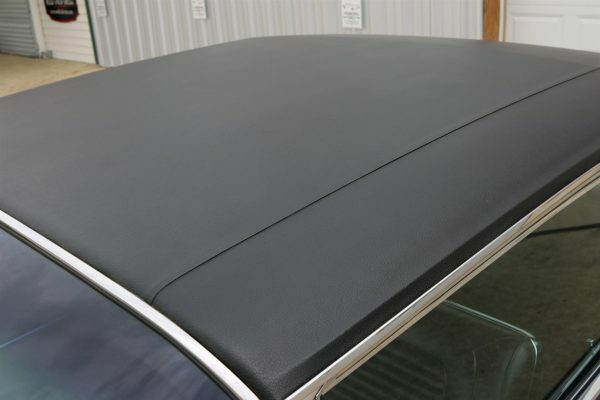 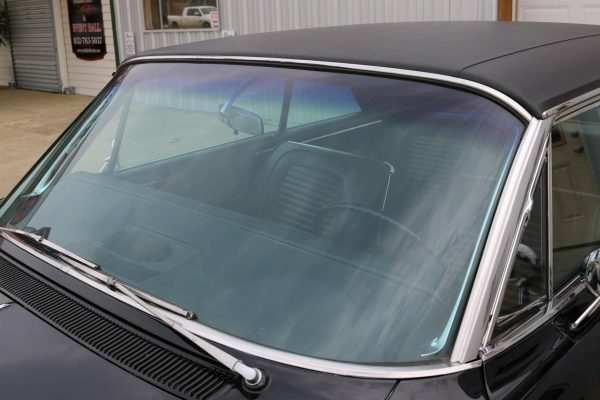 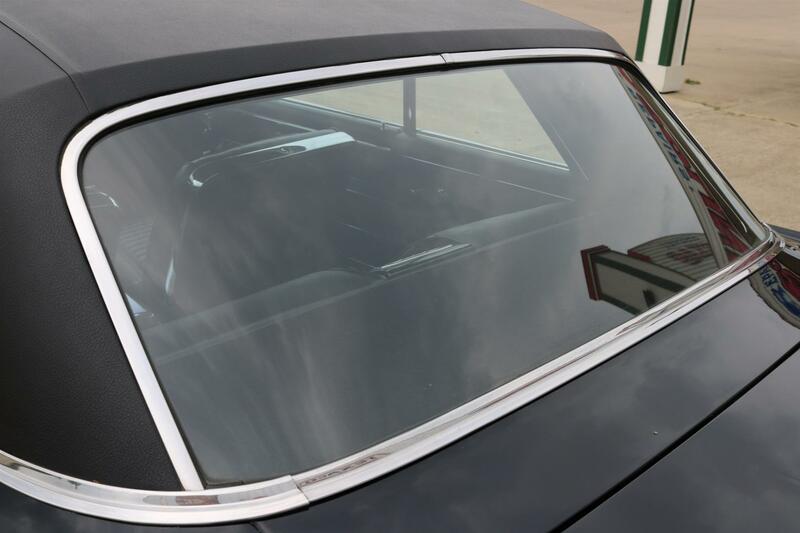 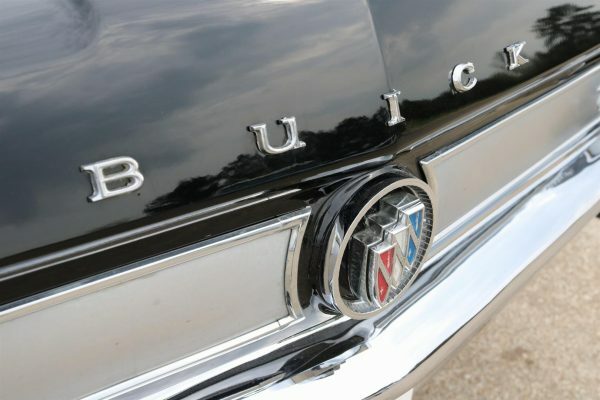 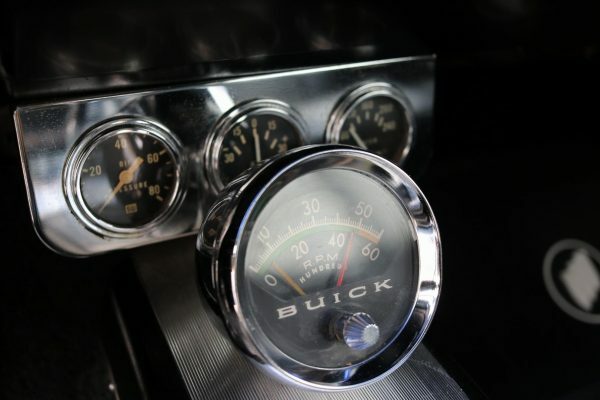 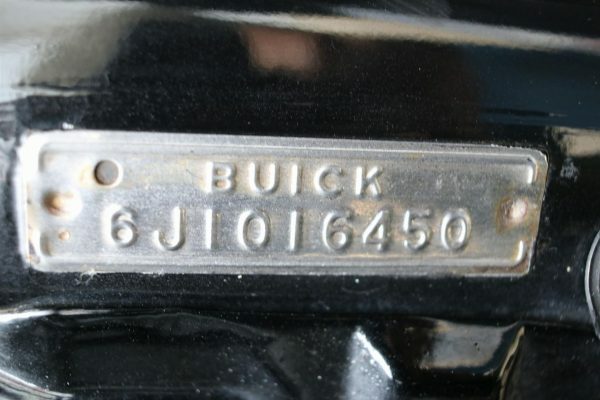 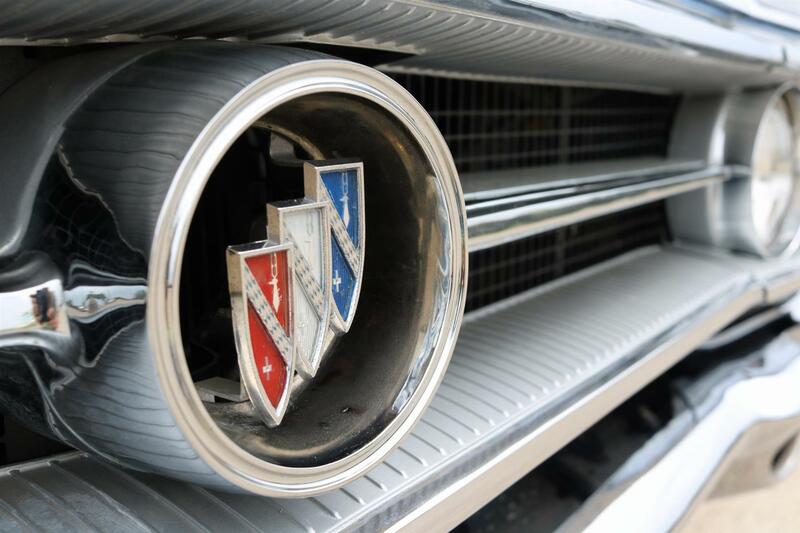 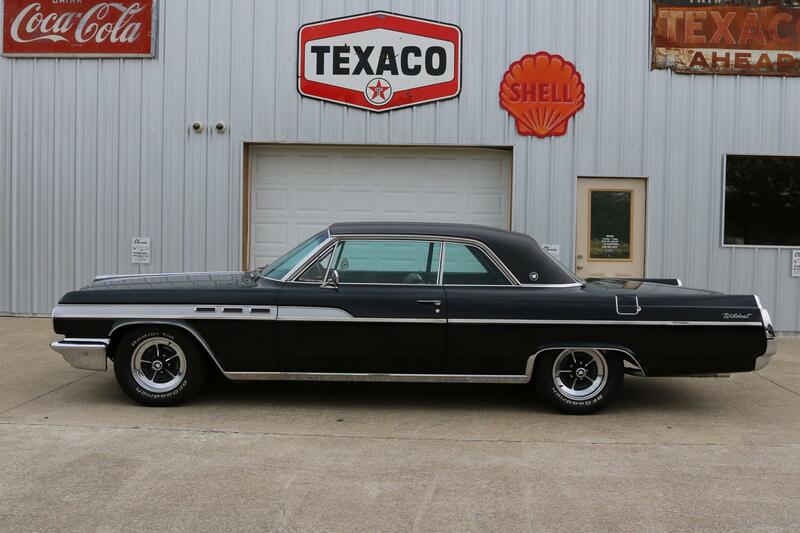 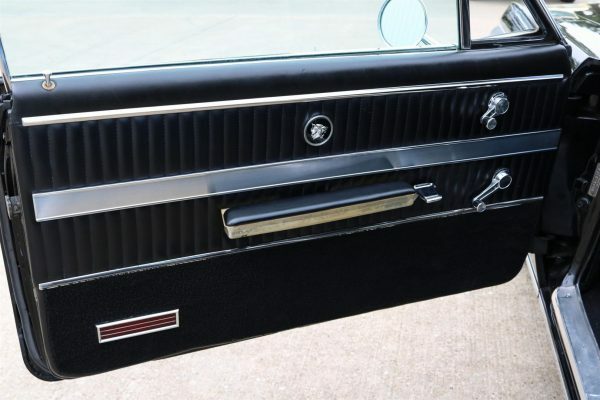 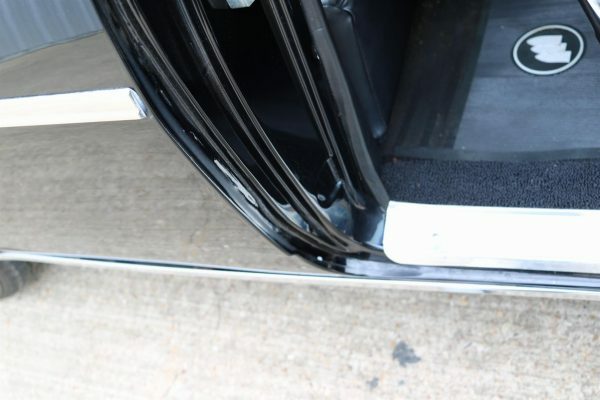 The trim line was popular enough that Buick made it a standalone model in 1963, when the Wildcat virtually replaced the Invicta line. 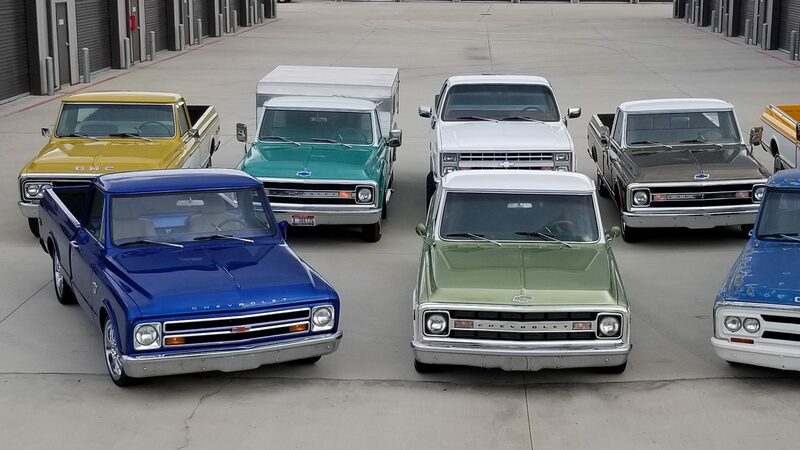 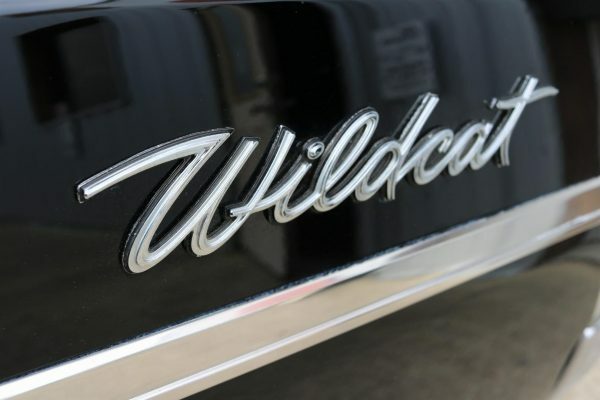 In fact, the Wildcat line featured two-and four-door hardtop and a convertible, while the only Invicta body style left was a station wagon. 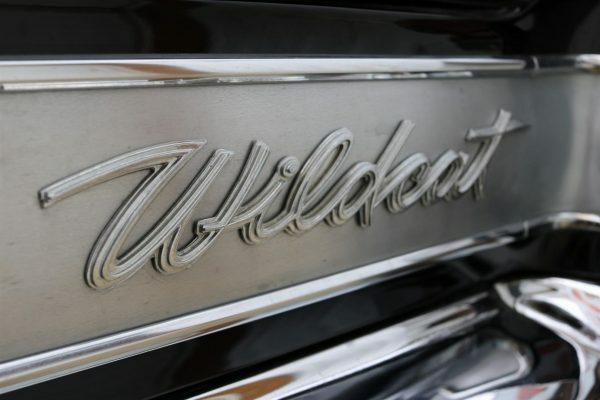 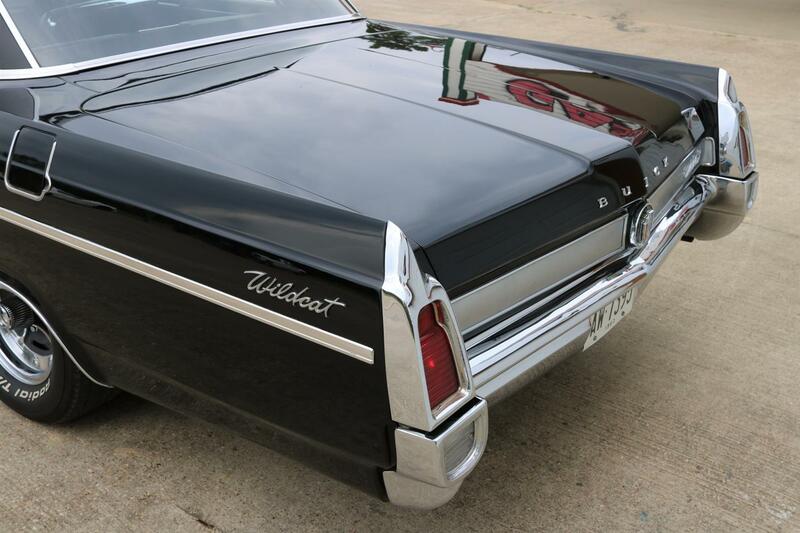 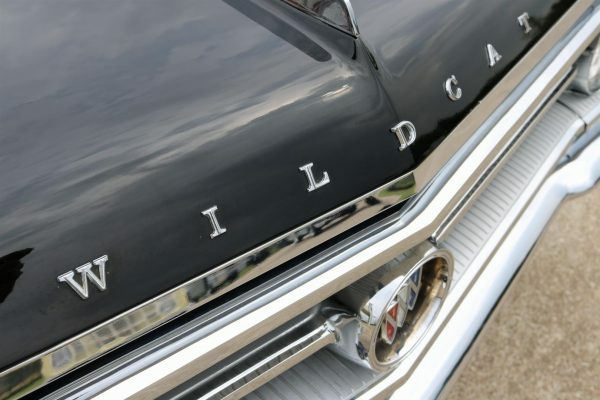 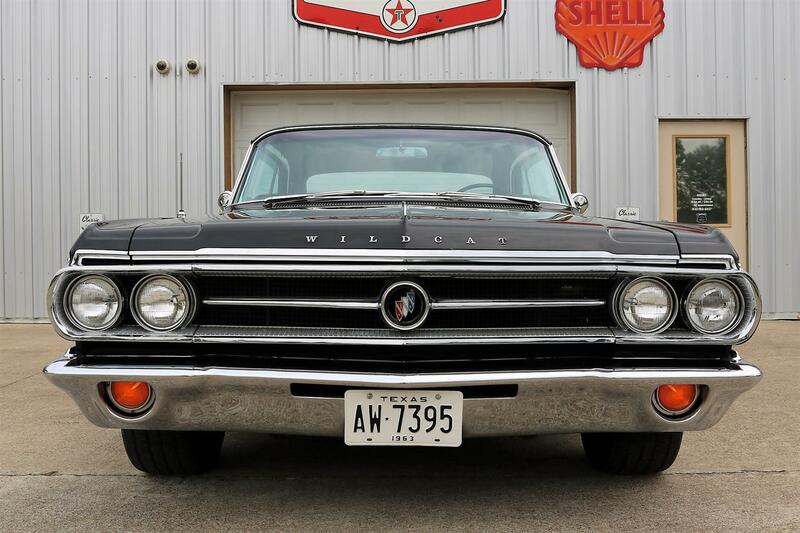 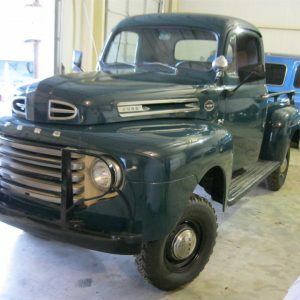 The Wildcat became even sportier and more heavily optioned for 1963, and was easily recognizable by their unique grille and side trim, which involved a wide brushed aluminum panel on the front fenders and doors. 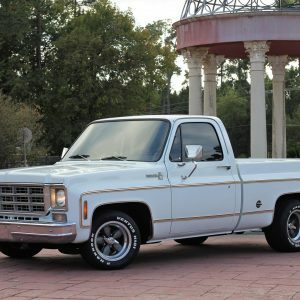 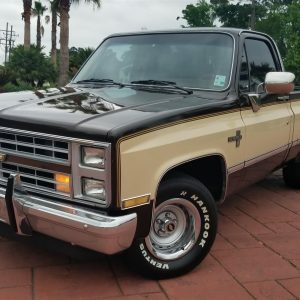 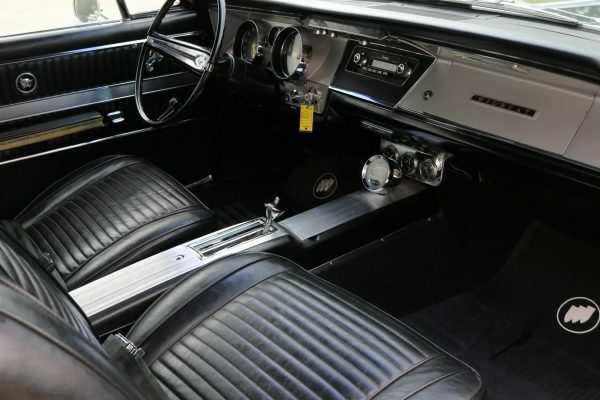 Bucket seats were standard on the coupe and convertible, optional on the four-door hardtop and the cars had a center console. 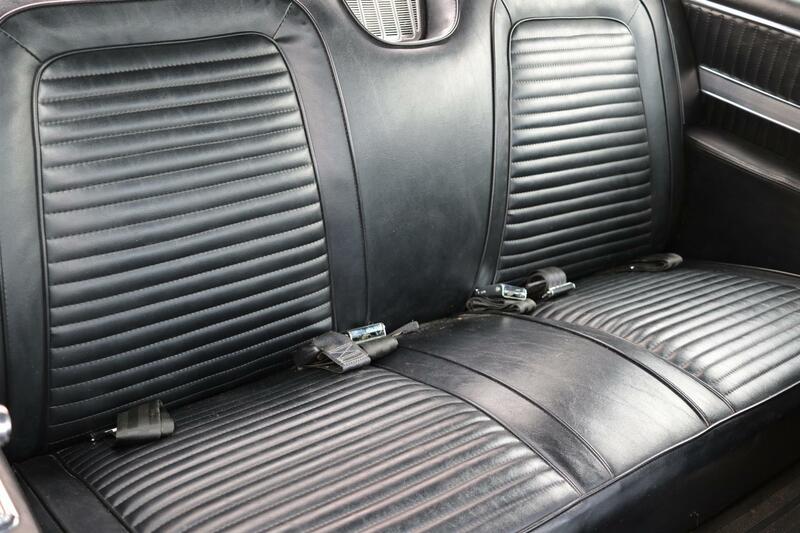 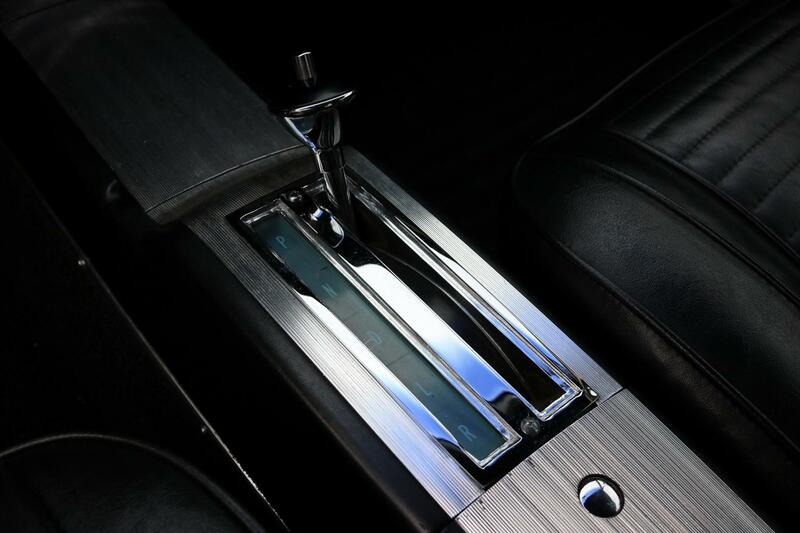 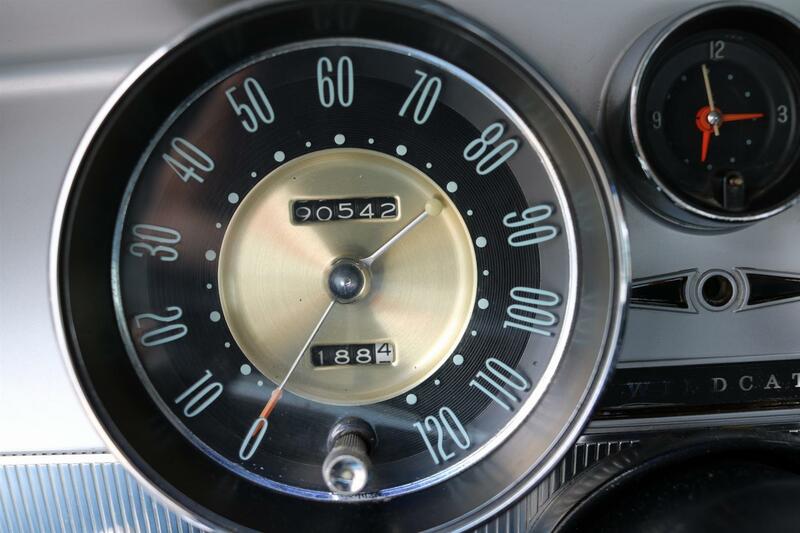 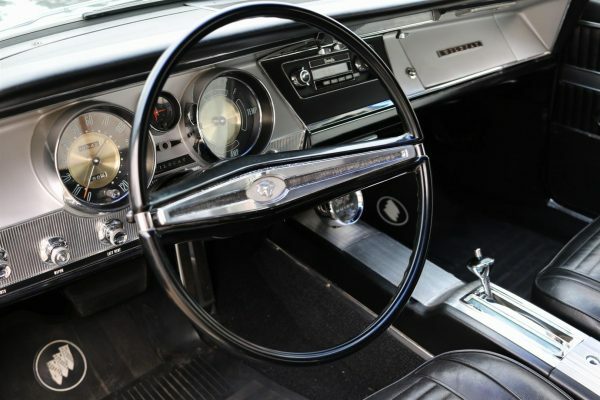 Automatic transmission was standard, as was a tachometer unless the car was ordered with a bench seat.